TRENTON, N.J. (CNS) — No motive “can justify these ongoing, seemingly relentless acts of gun violence plaguing our cities,” Bishop David M. O’Connell of Trenton said after a mass shooting took place in the early morning hours of June 17 during a city arts festival. “The epidemic of gun violence has struck once again, this time close to home,” he said in a statement. 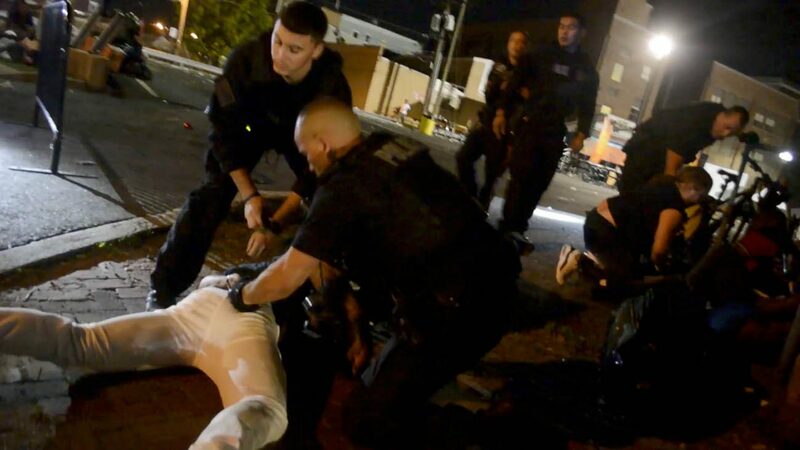 Gunfire broke out at 2:45 a.m. June 17 during a 24-hour festival called “Art All Night Trenton 2018.” Police confirmed June 18 that 22 people had suffered gunshot wounds. Of that number, a 13-year-old boy and three other people were hospitalized and remained in critical condition. Police also said there were three suspected shooters. One identified as Tahaij Wells, 33, was killed. Mercer County Prosecutor Angelo Onofri said his office’s Homicide Task Force was investigating if he was fatally shot by police. Two other suspected shooters also were shot. One identified as Amir Armstrong, 23, remained hospitalized in stable condition. The third suspect, who was not identified, remained in critical condition. “How many times can our hearts break” over such violence, Bishop O’Connell asked. “Once again, we fall to our knees to beg the Almighty to help us end these senseless assaults on innocent life in our communities,” he said. “We pray for the injured and their families, for comfort and healing. We pray in thanksgiving for the first responders and emergency workers. “And we pray for our community here in Trenton that God’s peace and our love for one another might prevail,” the bishop added. Police were still investigating what the shooters’ motive may have been. According to News reports, Wells was recently released from prison and had been on parole since February on homicide-related charges. Armstrong was charged with a weapons offense. No information was released as to whether the third suspect had been charged with anything.